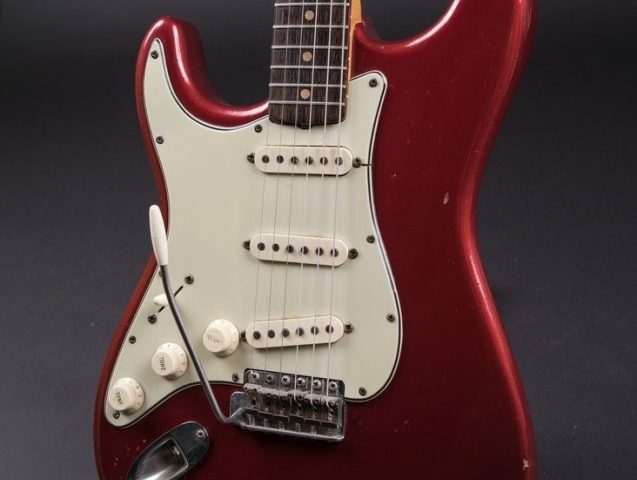 1964 Fender Red Sparkle Strat, 100% Original with OHSC, Extremely Rare Custom Color! 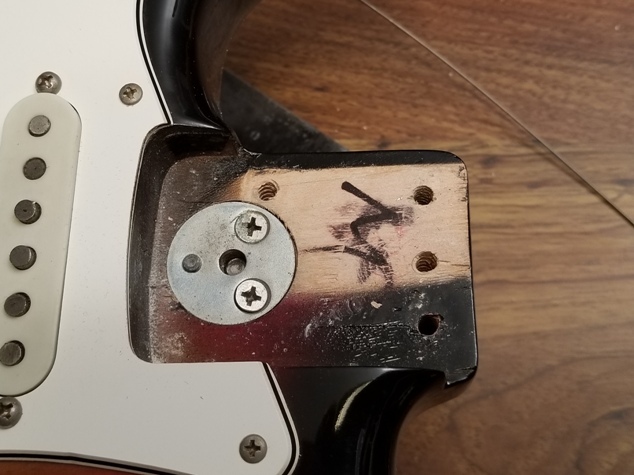 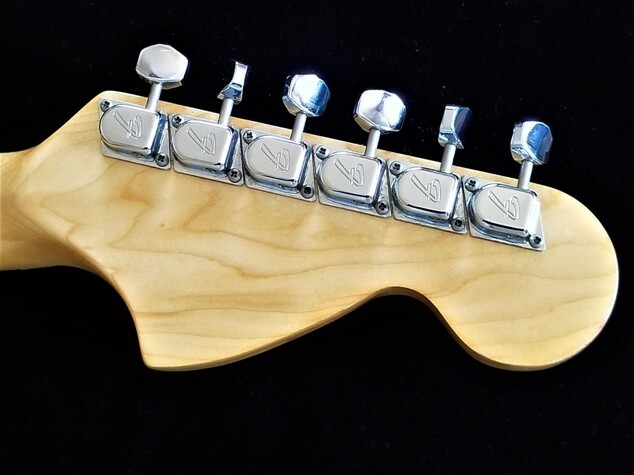 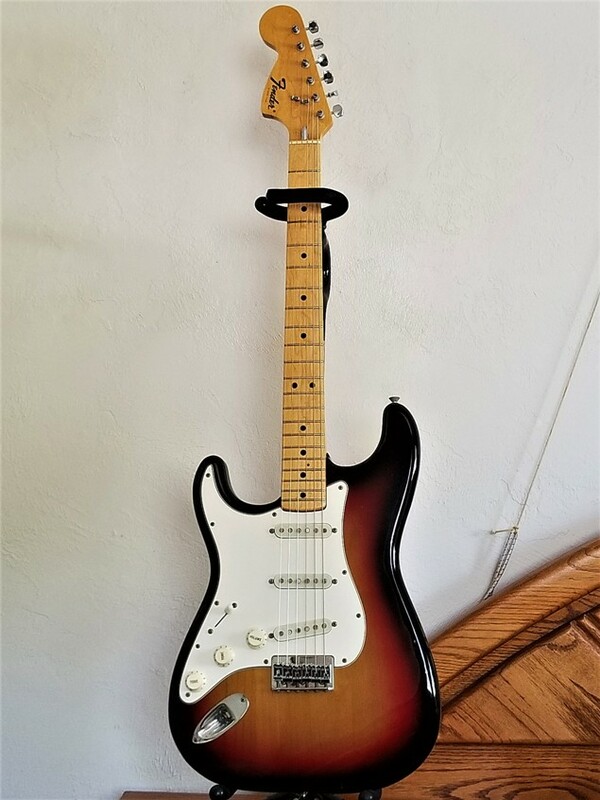 For a left handed vintage Strat, this is as rare as it gets! 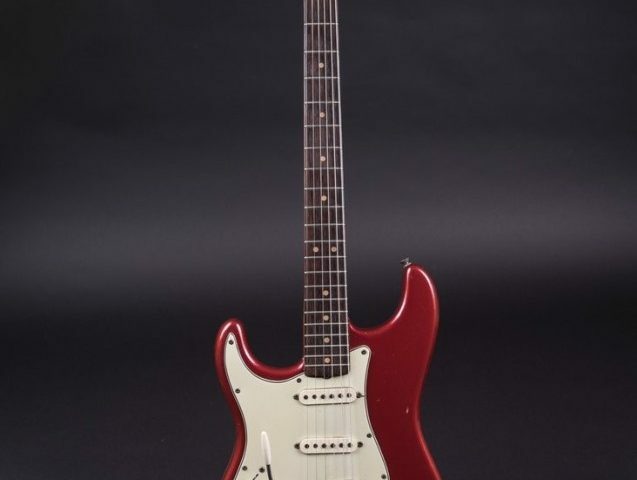 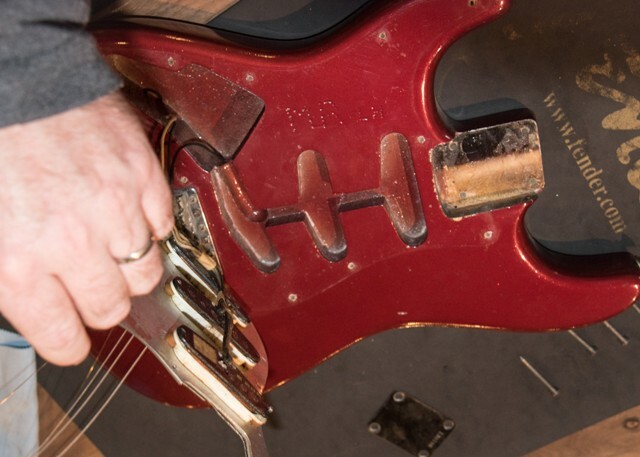 This is a factory original Left Handed 1964 Fender Strat in the ultra rare custom color finish: Red Sparkle. 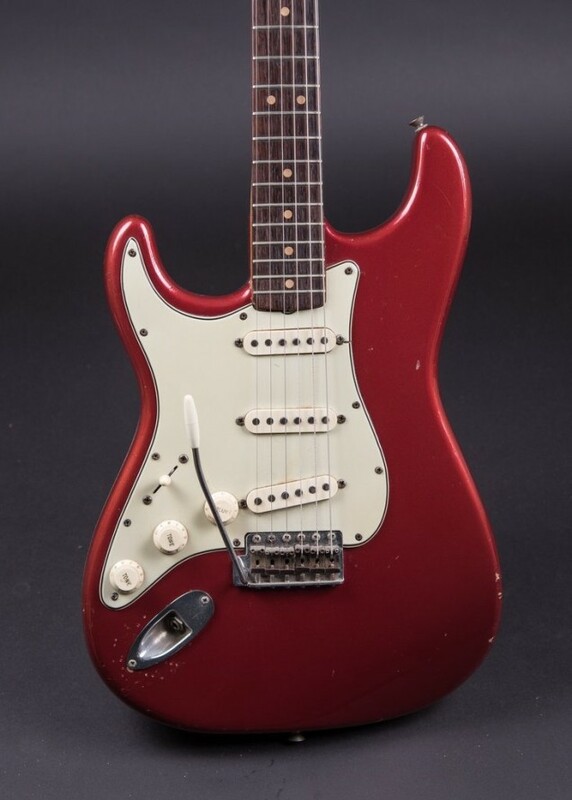 It is also known as Metallic Red, and the abbreviation of “MR” along with LH for Left Handed can be seen in the top of the body. 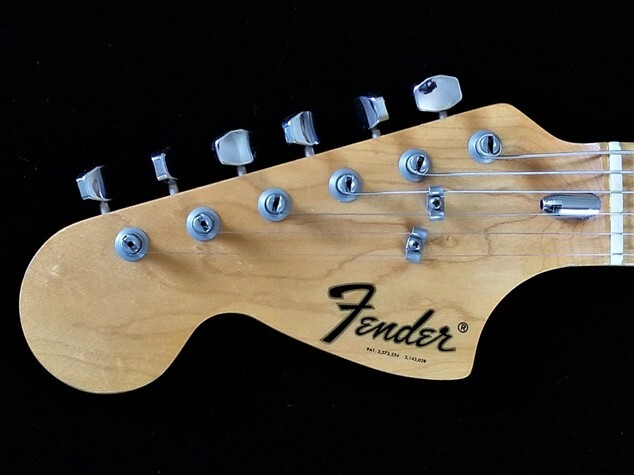 The letters are in a style that is typically seen on custom color finishes done by the Fender factory. 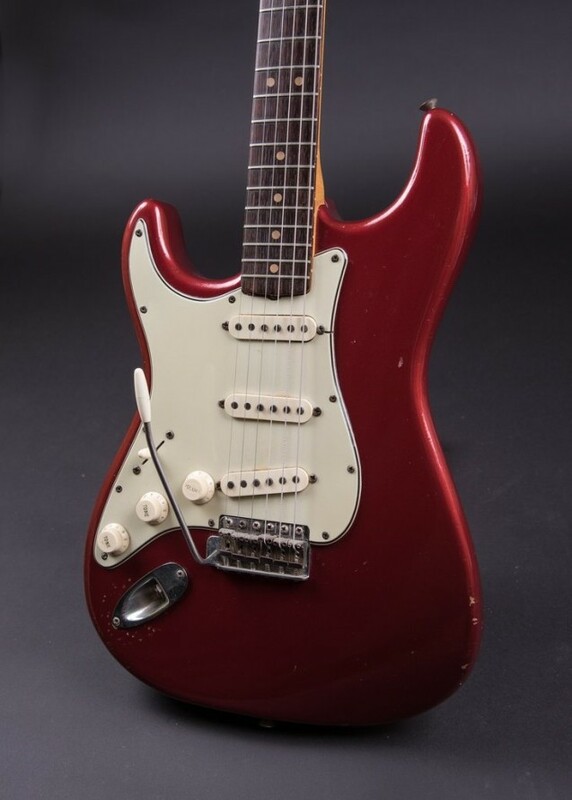 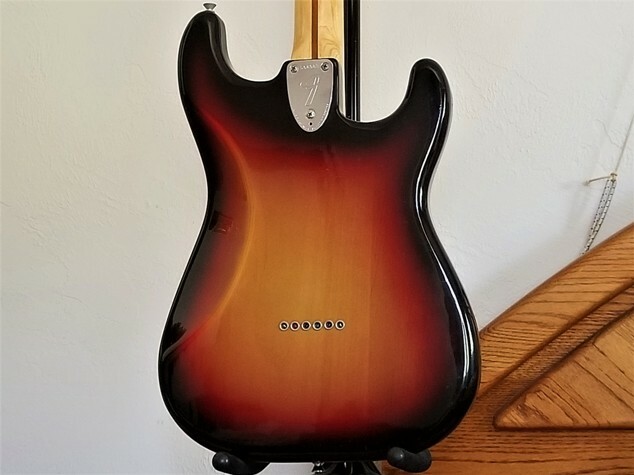 This is a color that Fender rarely used, and is not even seen in the Fender factory finish literature. 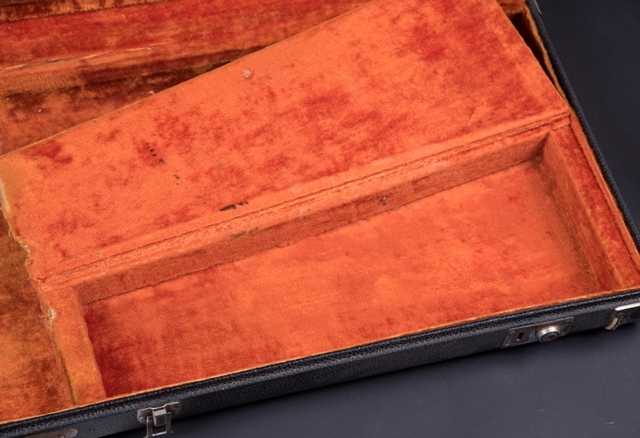 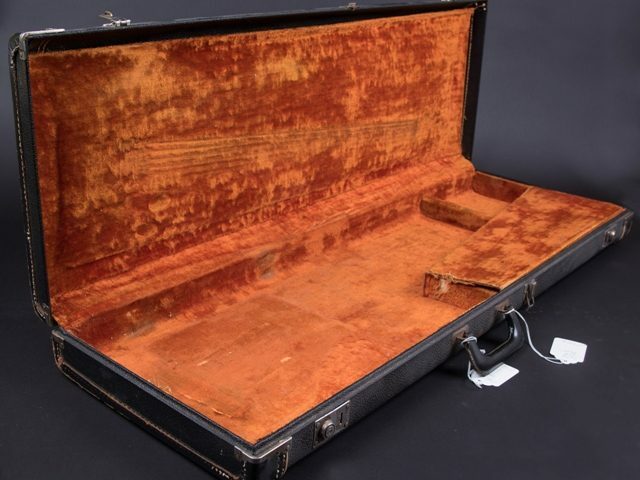 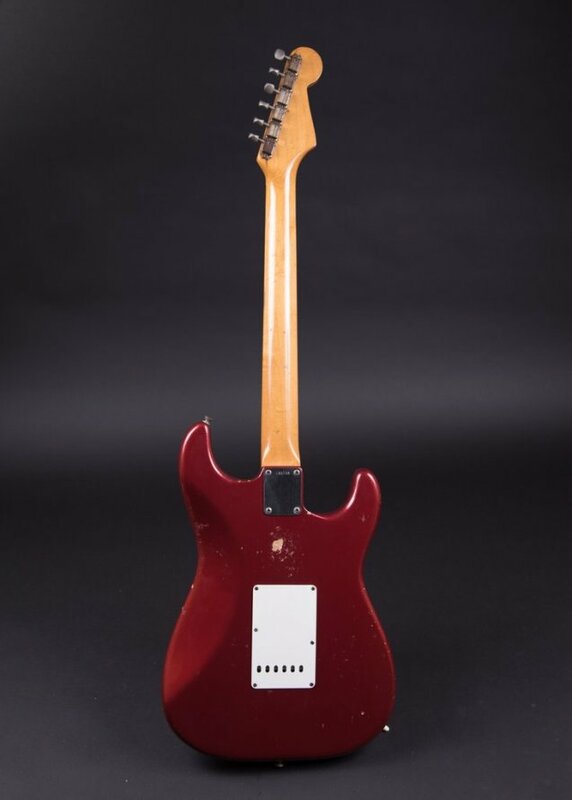 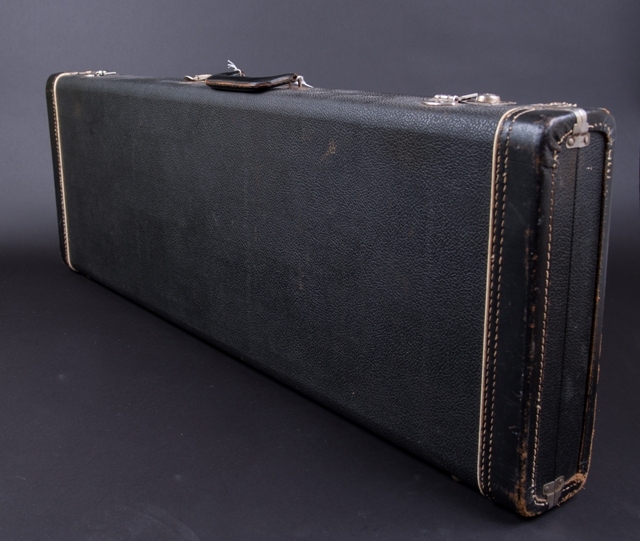 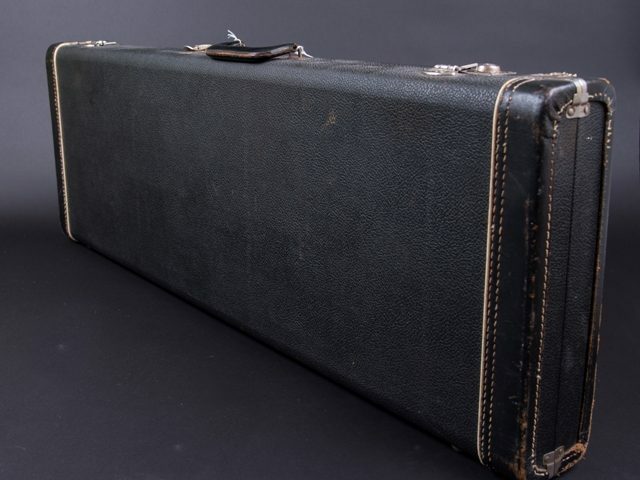 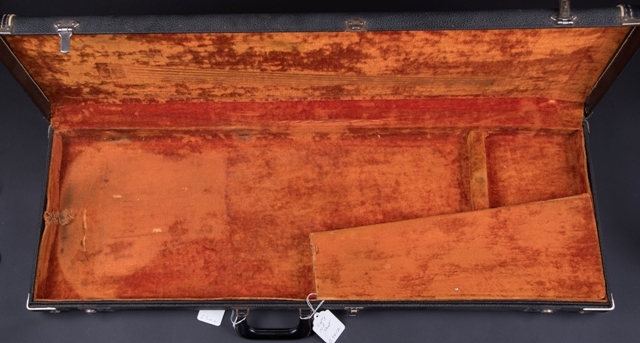 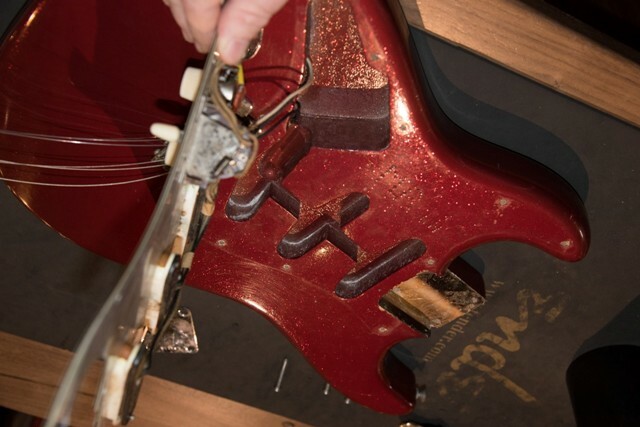 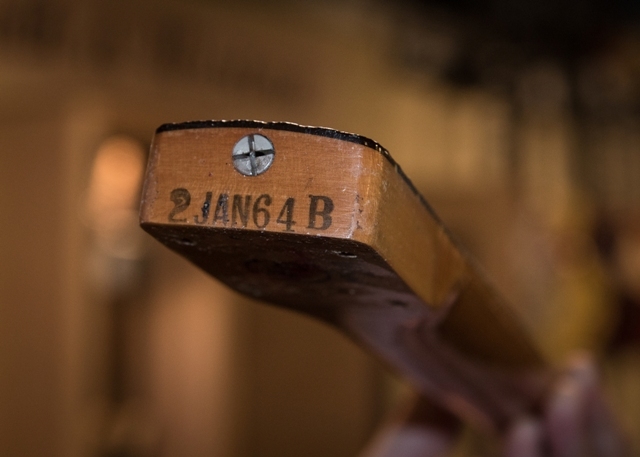 Most likely it was a color used for promotional purposes, such as the NAMM show. 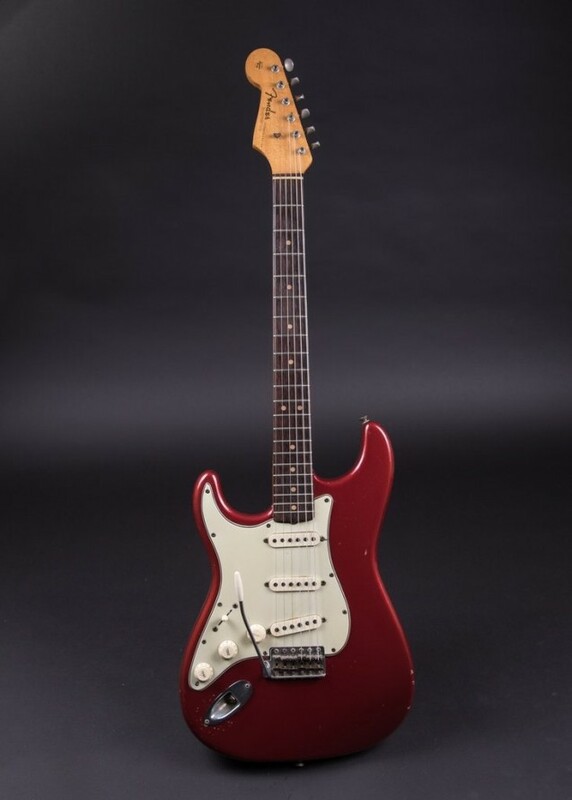 So it is more rare than even the rarest custom colors! 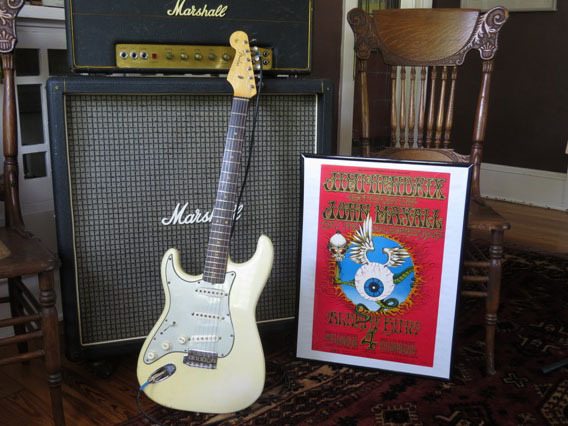 1st edition Monterey/Fillmore/Woodstock posters, and a 50w Marshall head with a 4×12 cab from 1973. 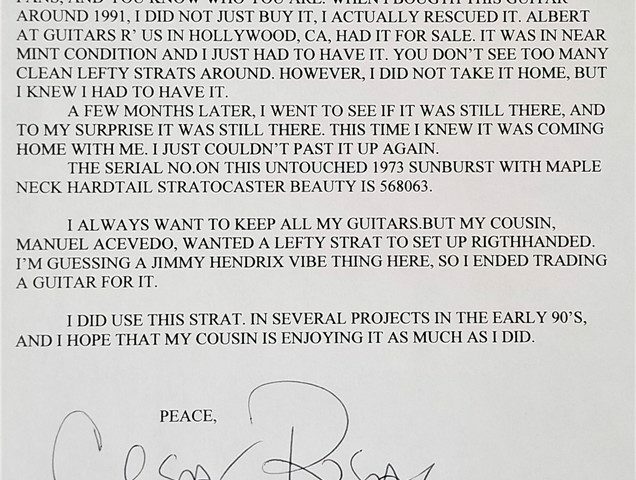 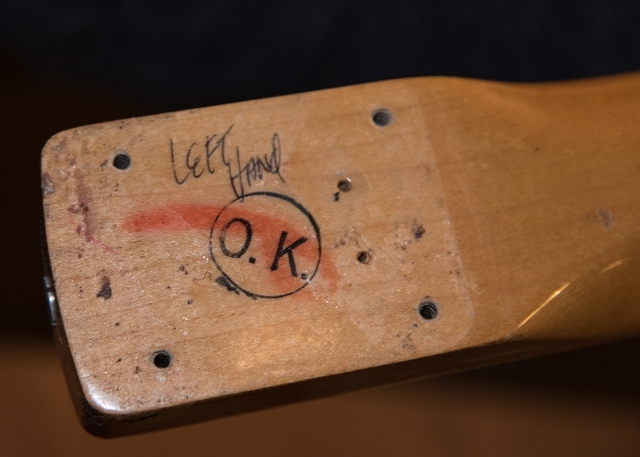 Jimi did own a few left handed Strats. 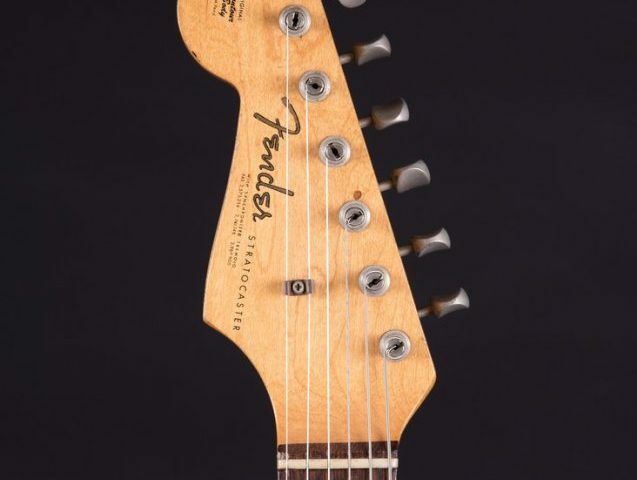 Oh well, all in the spirit of the Hendrixian White Strat theme! 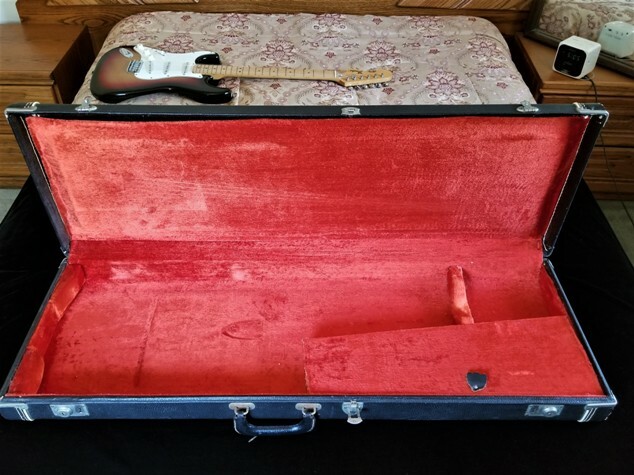 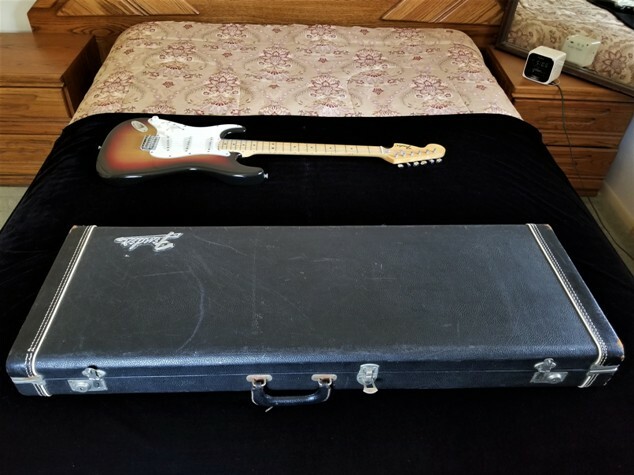 1974 Fender Strat, Rare Hard Tail, Cesar Rosas Documented, Near Mint with OHSC! 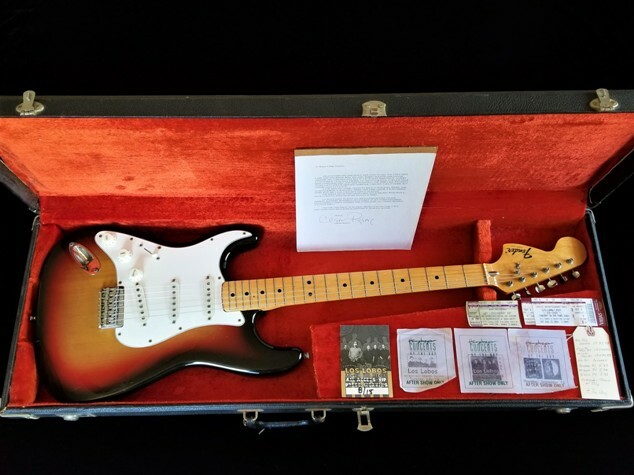 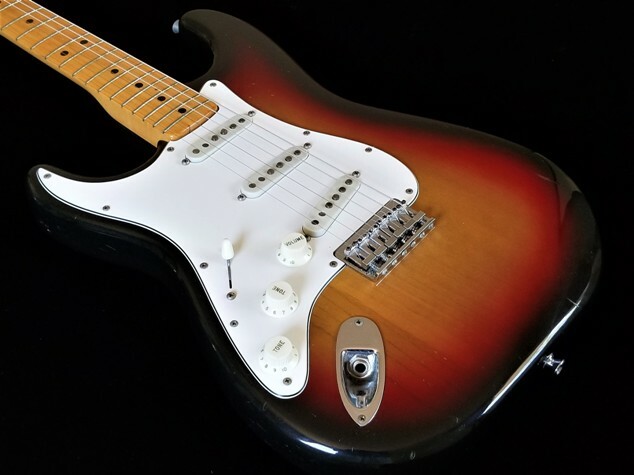 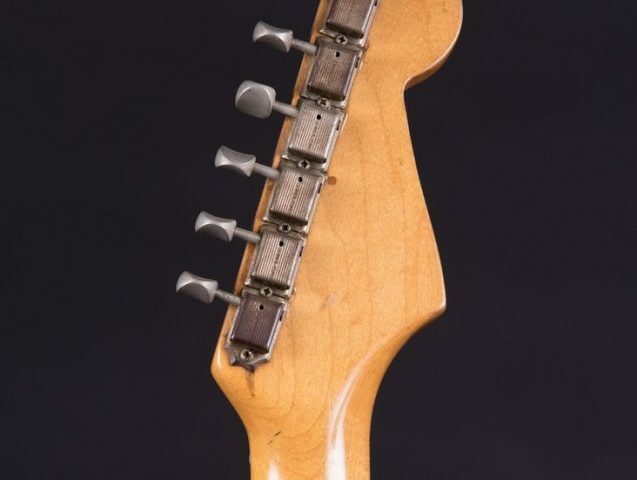 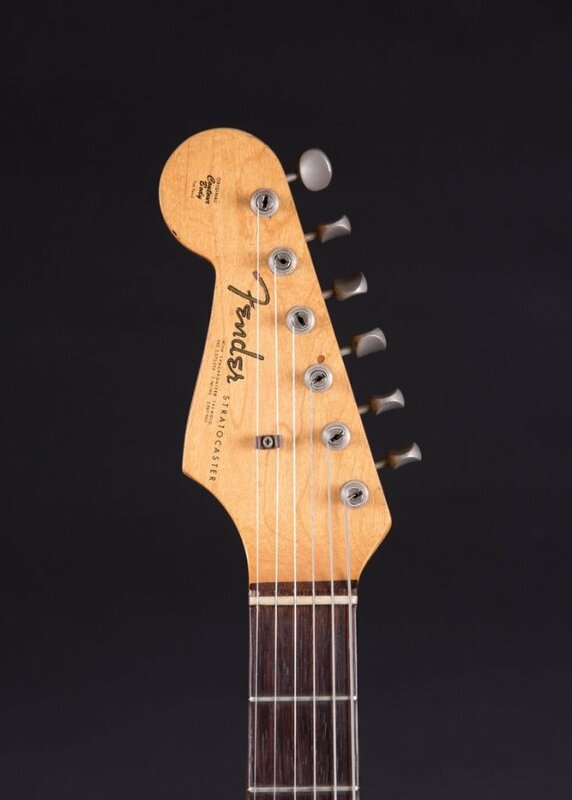 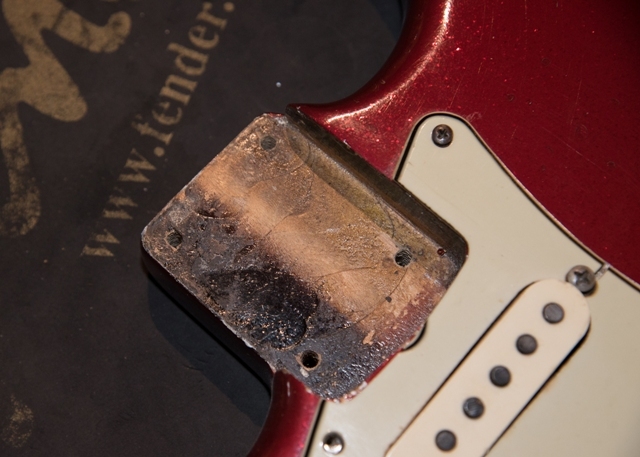 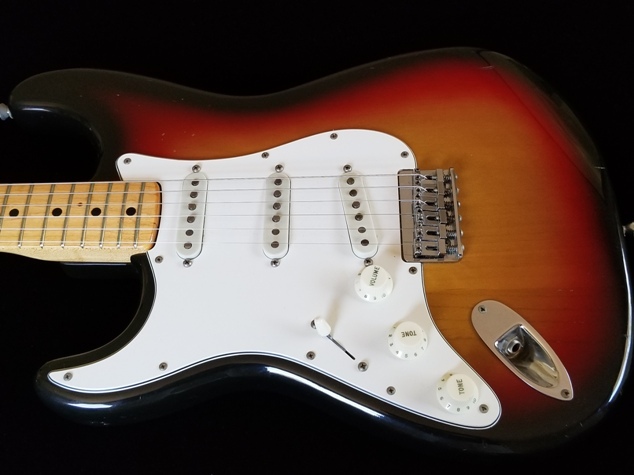 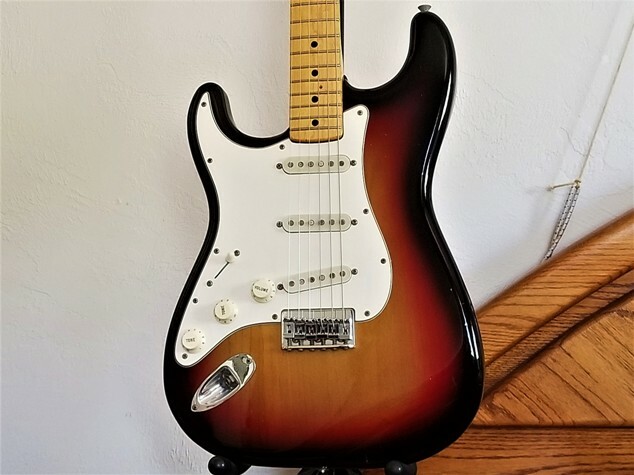 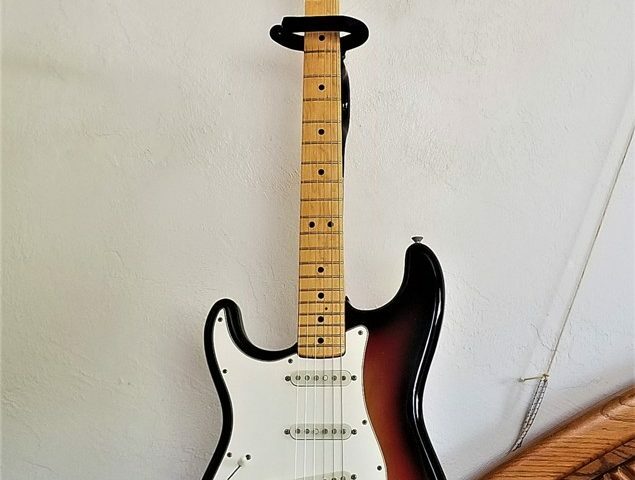 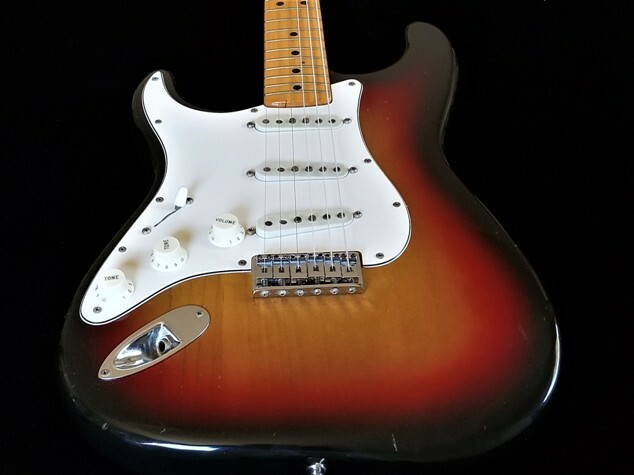 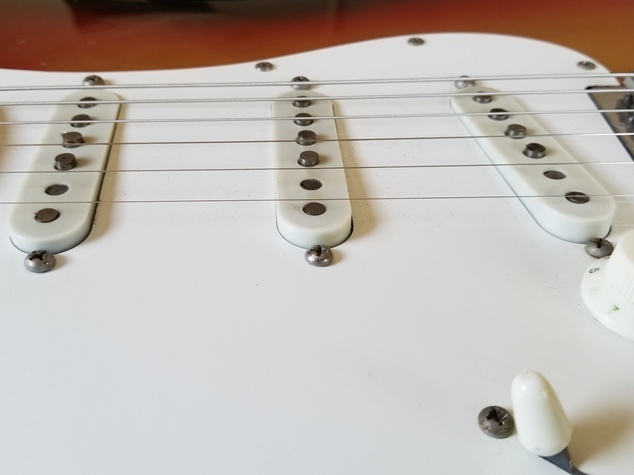 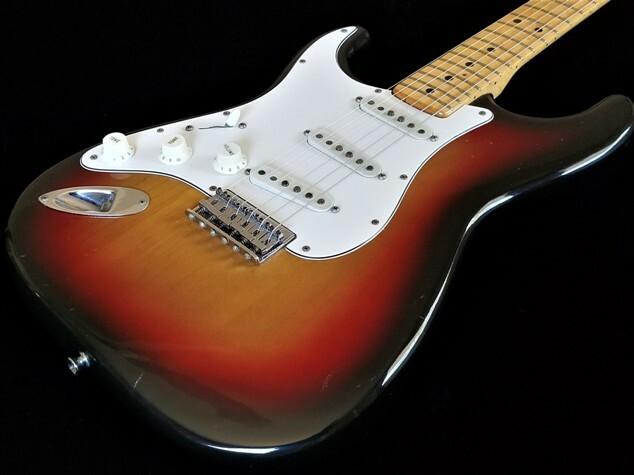 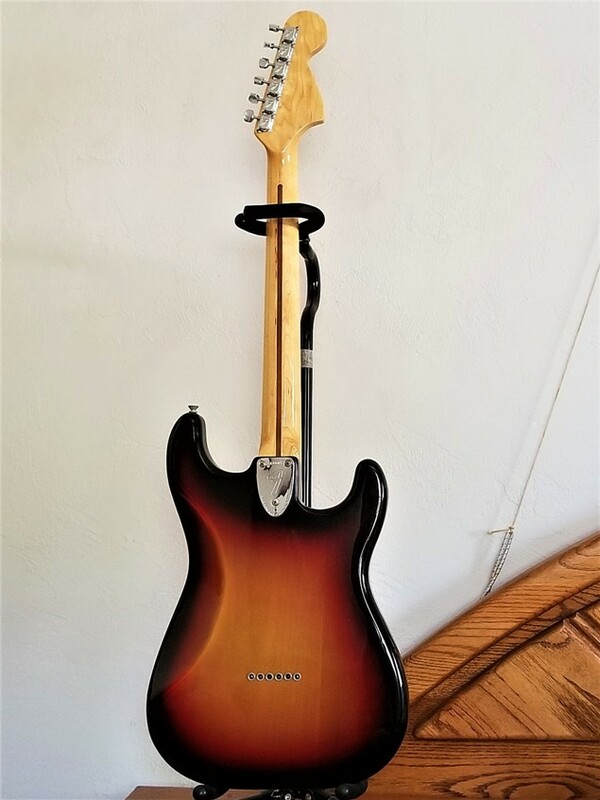 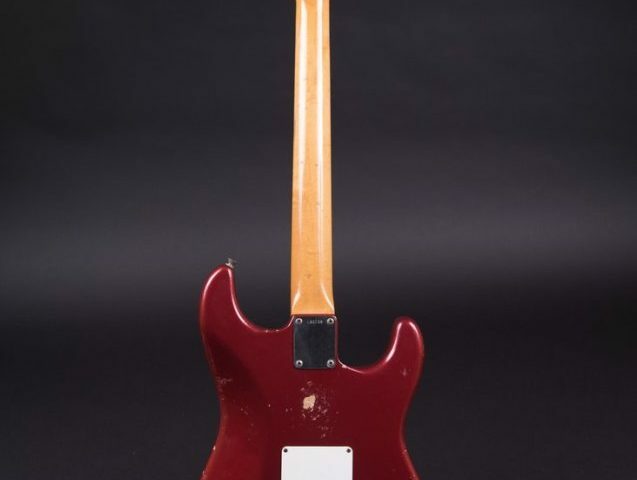 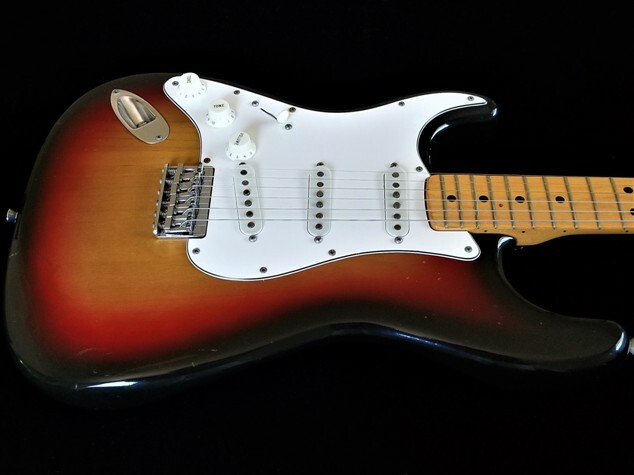 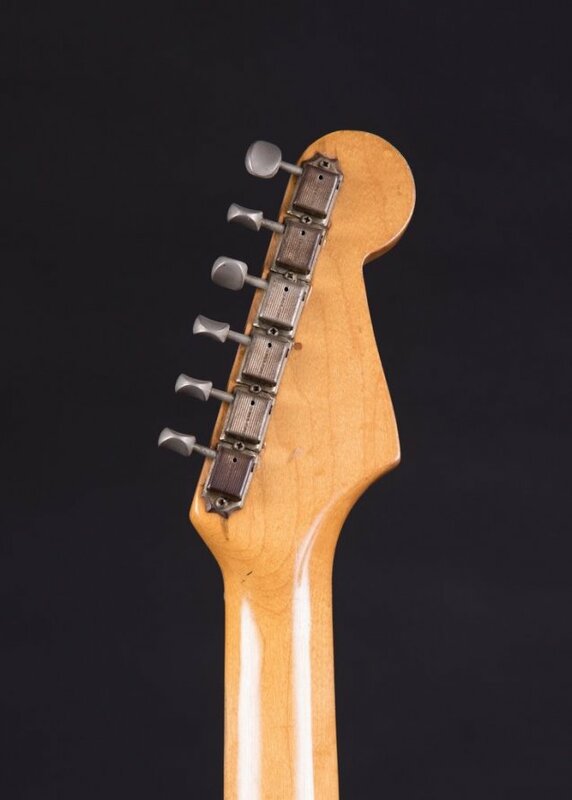 This is a 1974 Fender Strat, rare hard tail, previously owned by Cesar Rosas from Los Lobos. 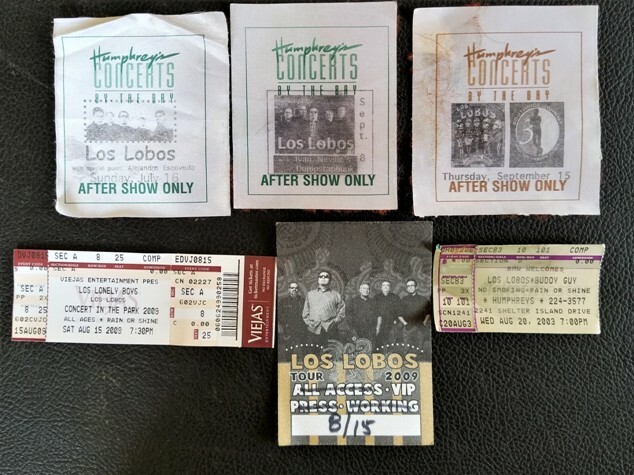 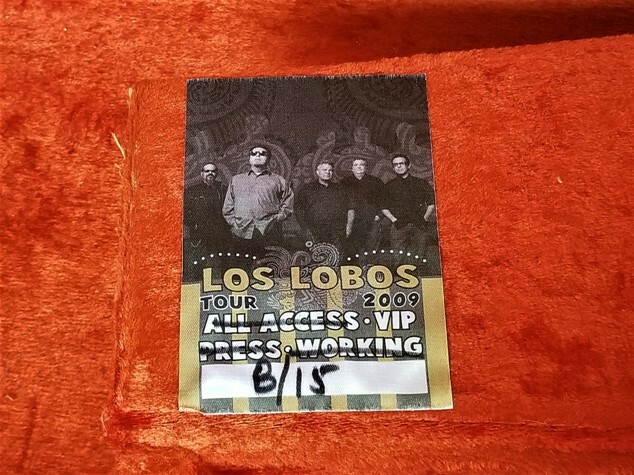 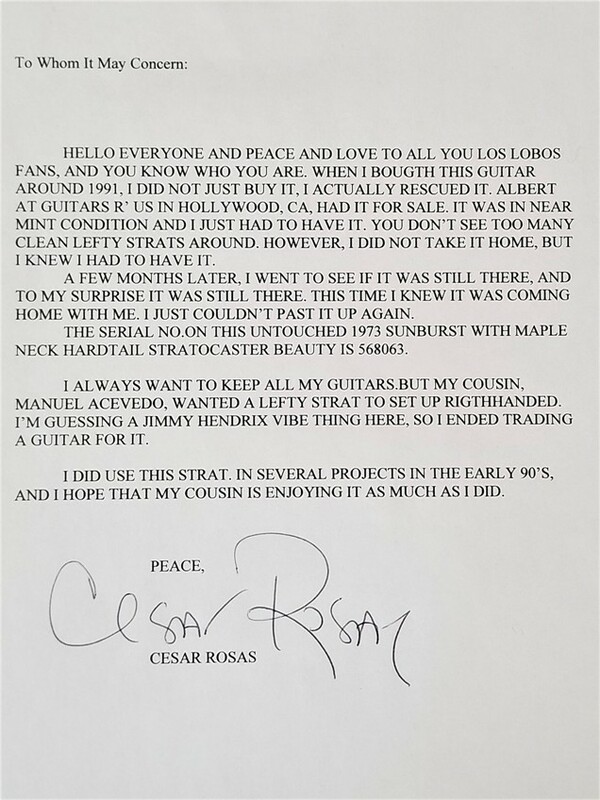 Includes personal letter from Cesar Rosas, along with a plethora of Los Lobos backstage passes and concert tickets. 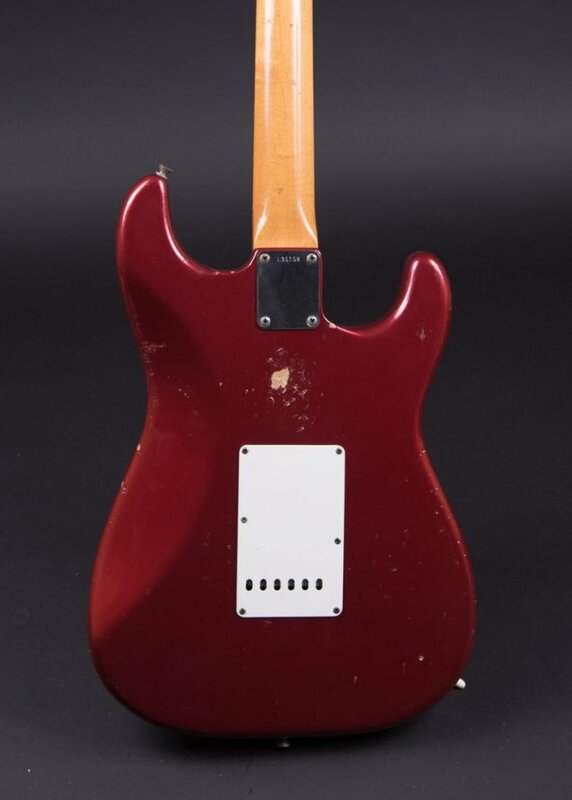 The guitar is in Near Mint condition, with very little wear on the 1st fret and the neck looks new, front and back. 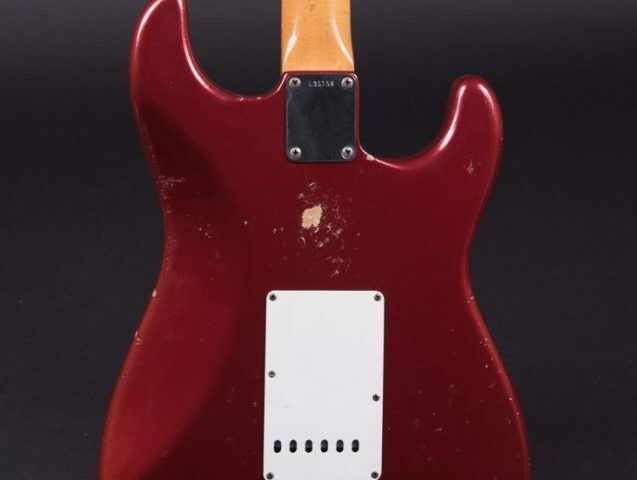 Some typical nicks on the body for this age, but overall this guitar is in very fine condition! 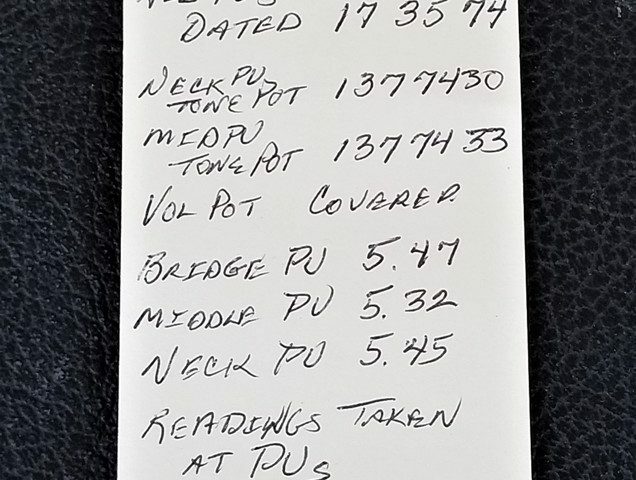 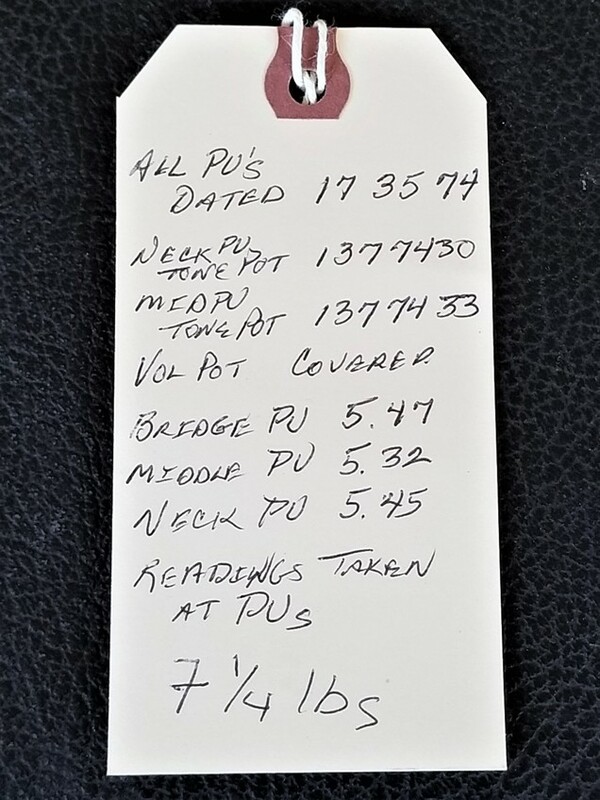 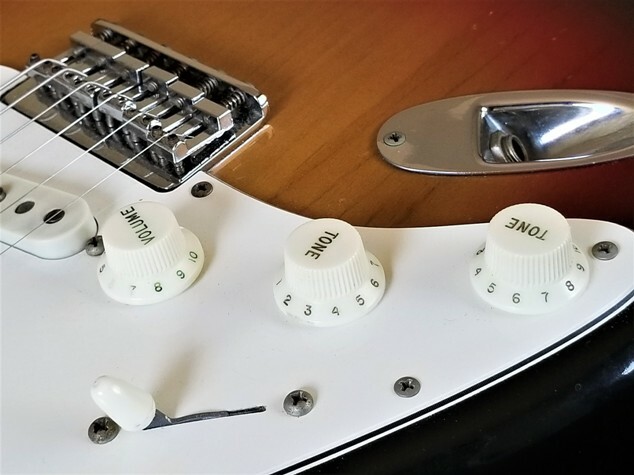 All pickups read consistently in resistance, with Bridge PUP/5.47K, Middle PUP/5.32K, and Neck PUP/5.45K. 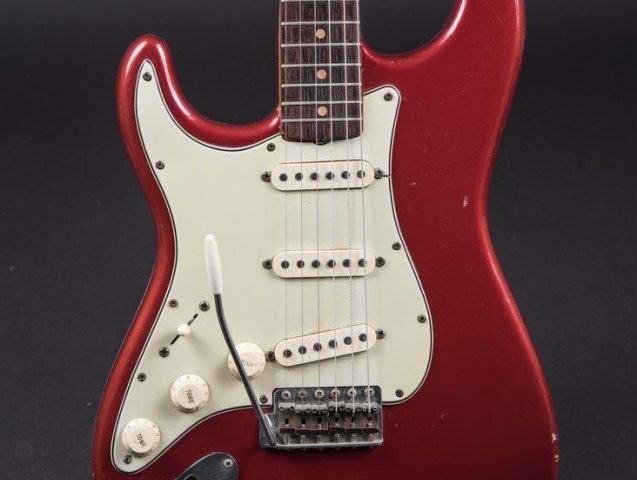 The following year in 1975. 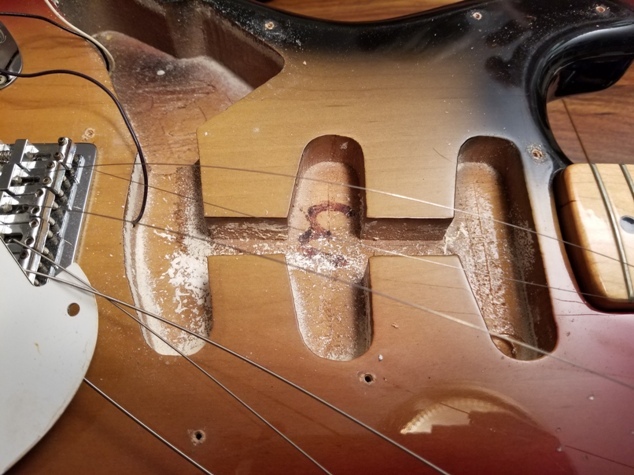 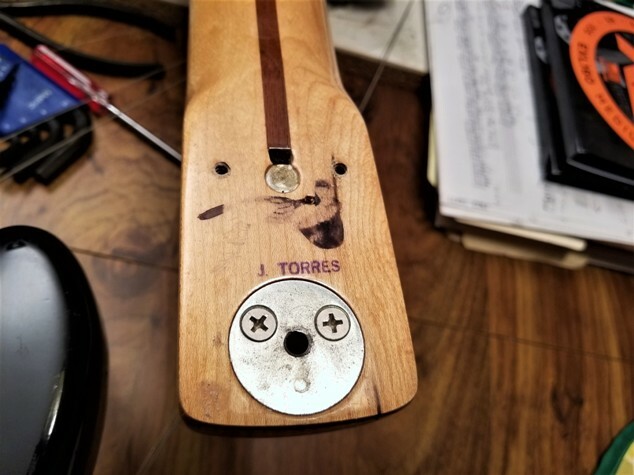 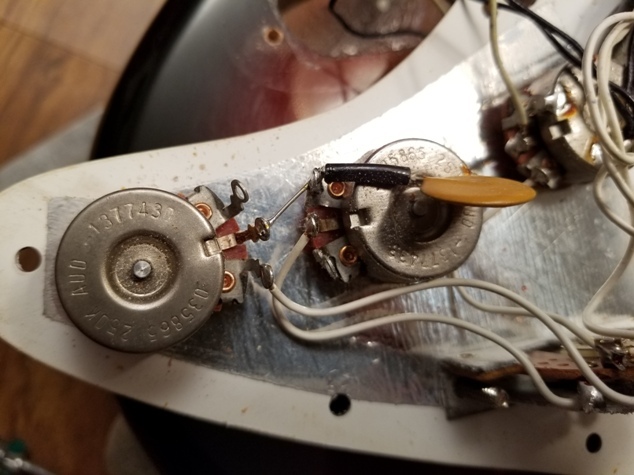 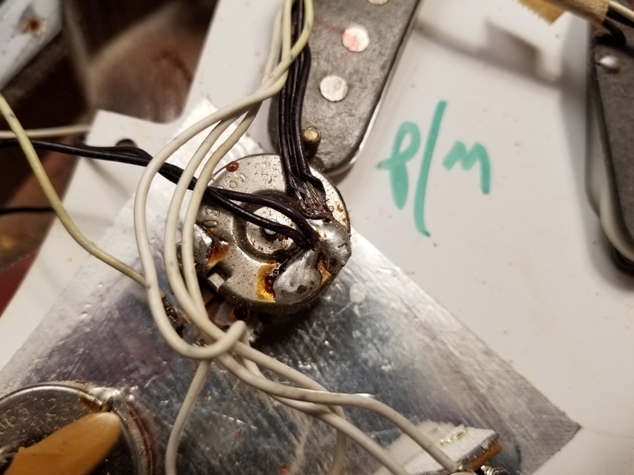 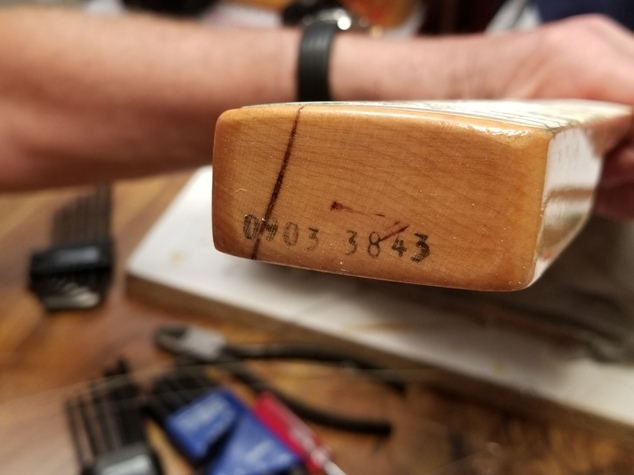 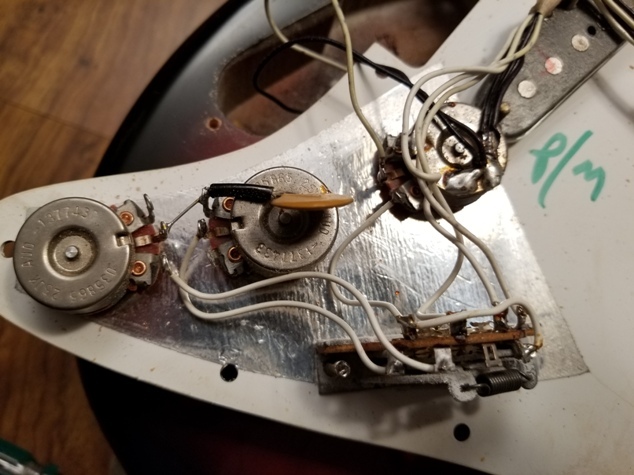 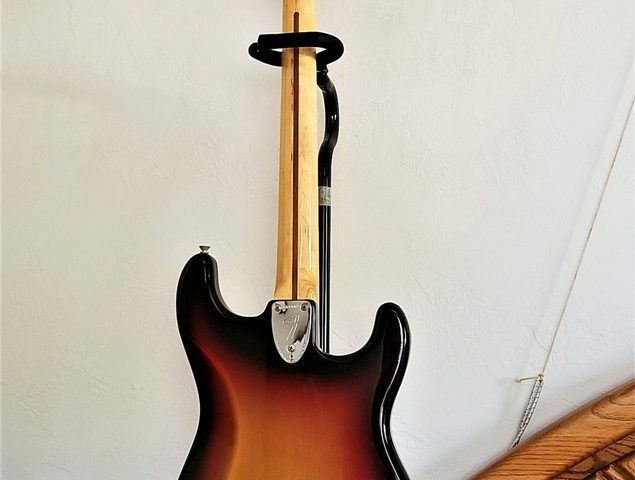 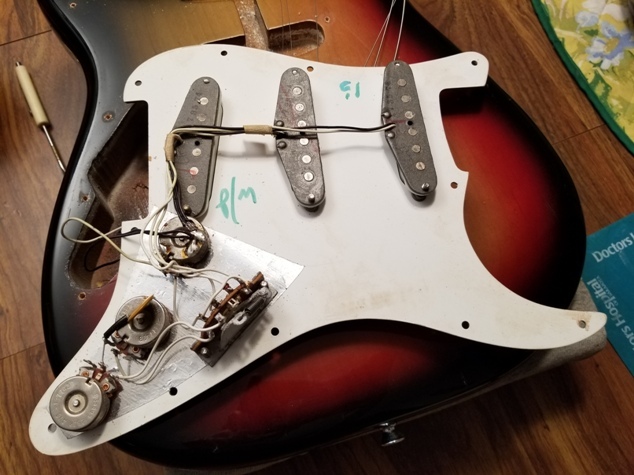 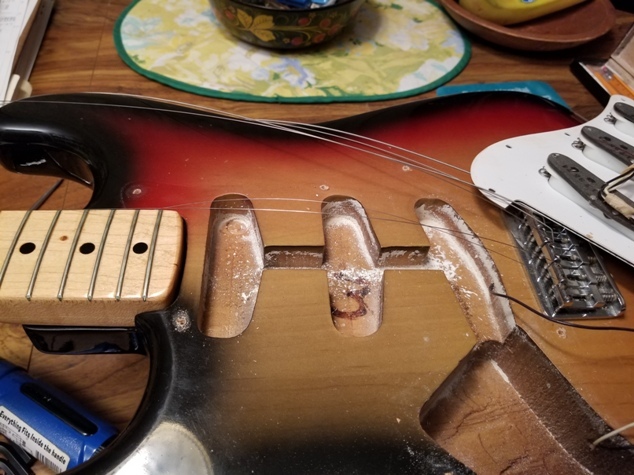 This guitar has been inspected and set-up by Scott Freilich of Top Shelf Music; it plays and sounds great, and needs nothing. 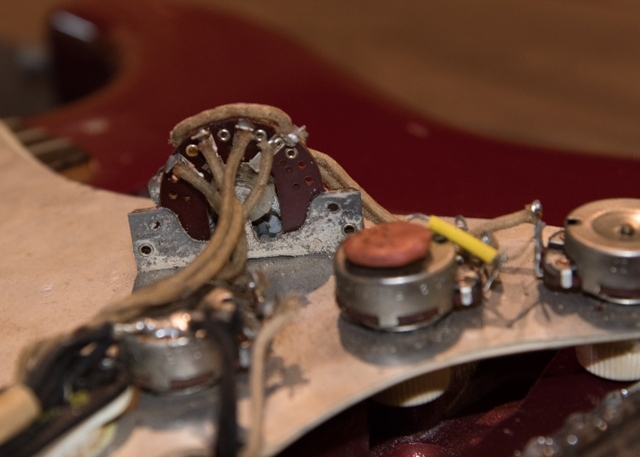 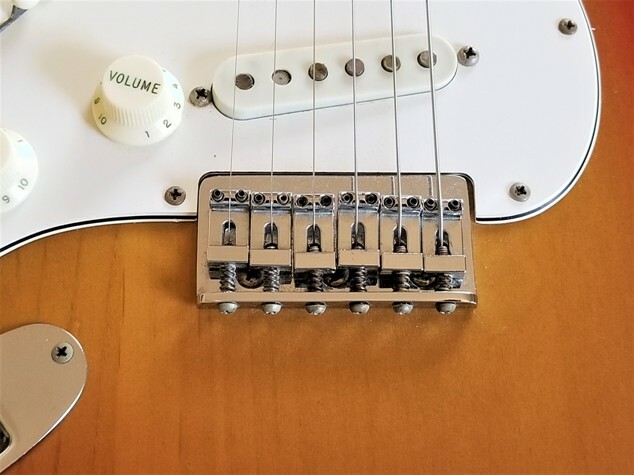 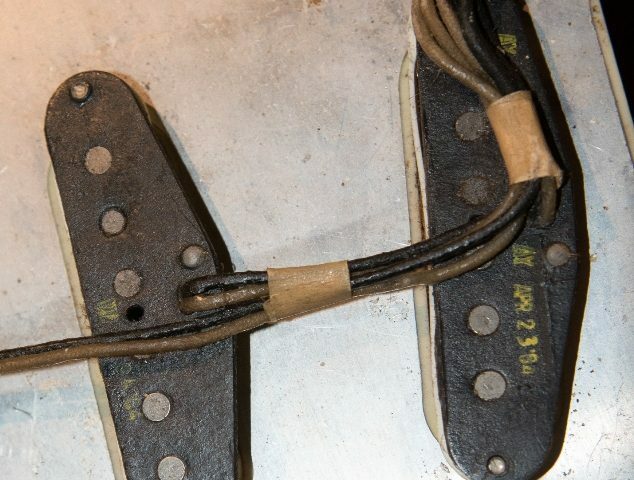 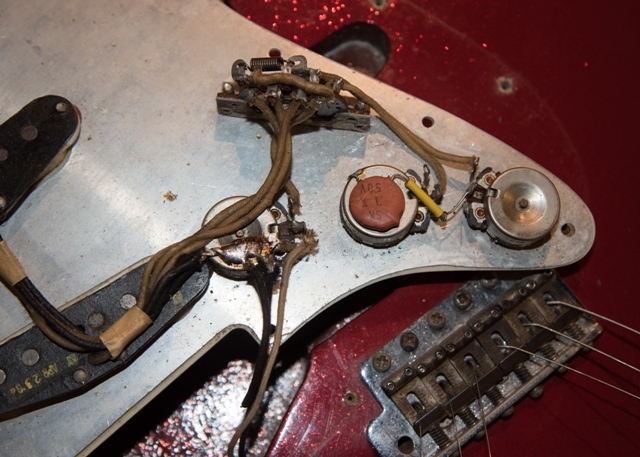 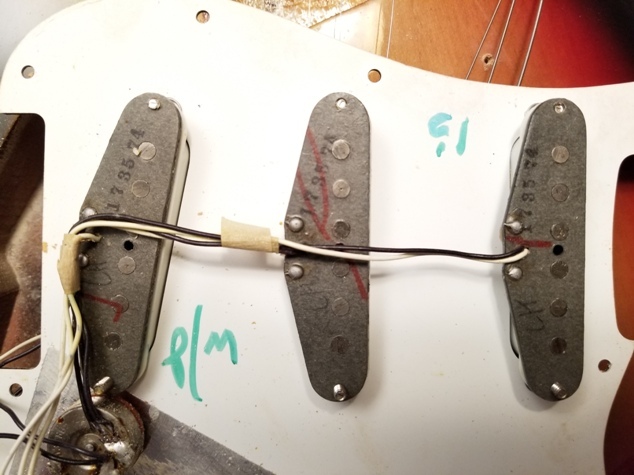 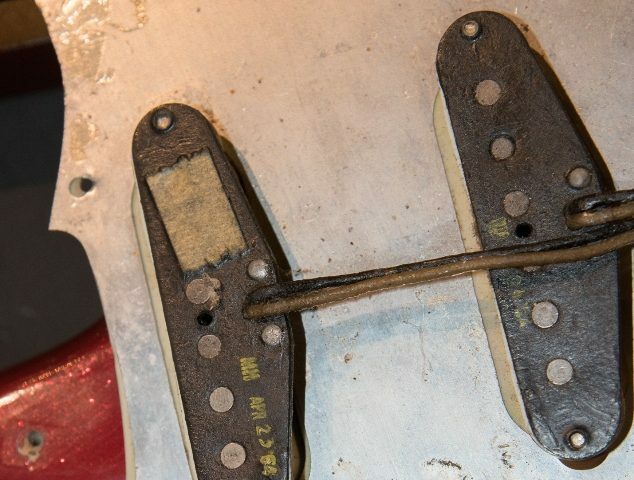 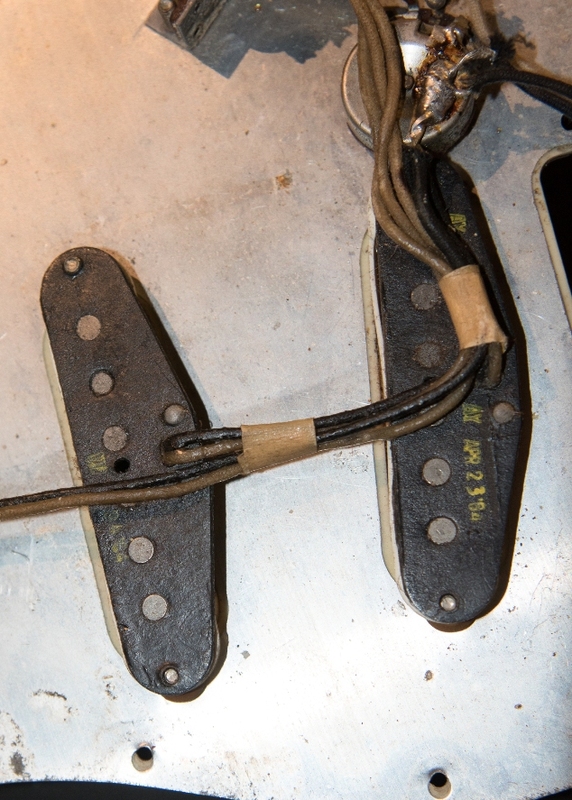 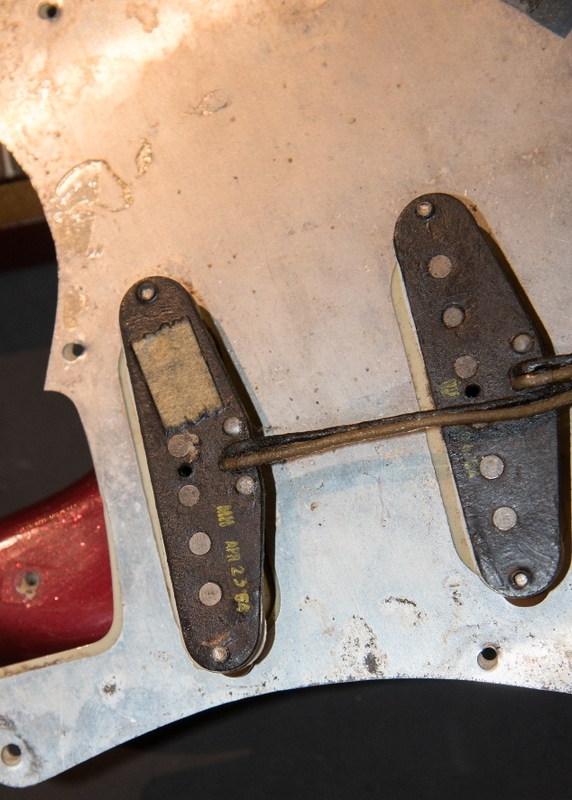 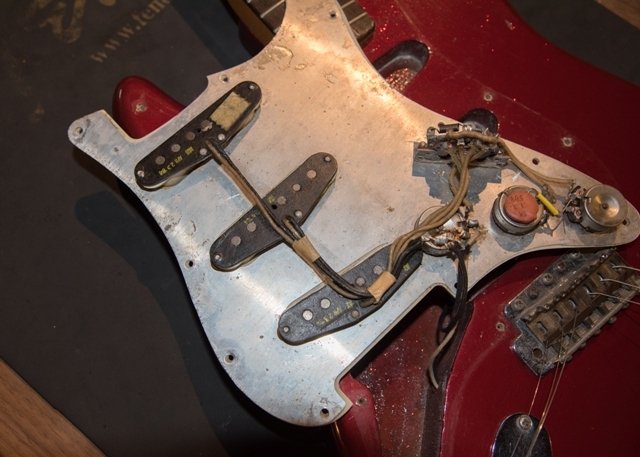 and hard tail Strats from this era are almost impossible to find. 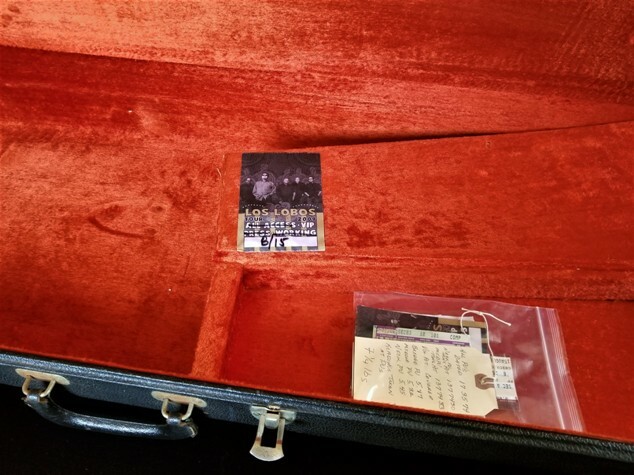 Check out all the pics!